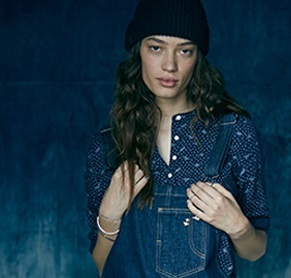 Levi has taken indigo in every direction this season. Think rich, saturated hues, overdyed to perfection and designed to age perfectly the more you wear them. They age better than a fine wine. Cut for a standard fit in a super soft knit, this basic crewneck sweatshirt is an essential with lightweight feel and fleece-like lining. 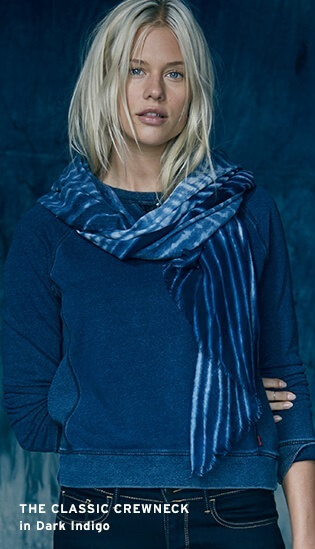 Features a V-stitch at the neck and ribbing along the neck, side panels, cuffs and hem. This one features sequin detailing at the neck for a touch of charm. If you were asking yourself, "What is Indigo? 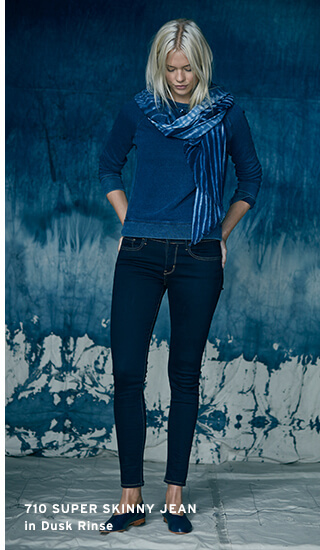 ", you may want to read the indigo definition here on Apparel Search.